Amazon Prime Video is an Internet Video-On-Demand Service Provider and falls under the segment of Video Streaming (SVoD). Revenue in the Video-on-Demand segment in India amounts to US$166m in 2018. Revenue is expected to show an annual growth rate (CAGR 2018-2023) of 5.7%, resulting in a market volume of US$219m by 2023. The market’s largest segment is Video Streaming (SVoD) with a market volume of US$107m in 2018. 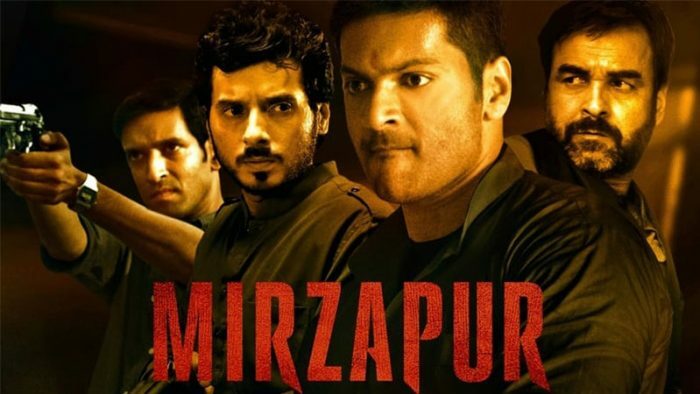 Produced by Excel Movies mein aapka swagat hai, comprising of a stellar cast like Pankaj Tripathi, Ali Fazal, Vikrant Massey, Divyendu Sharma Shweta Tripathi, Shriya Pilgaonkar, Harshita Gaur, Rasika Dugal, and others, Mirzapur is an Indian crime thriller web series. All episodes of the show were released on November 16, 2018 and the 1st Episode was exclusively available for free in order to attract Non-Prime Viewers. To reach out to the right audience and get them to engage in using Mirzapur GIFs within their social media conversations. Thus creating brand awareness through their conversations within their social Group. To create an engaging activity on digital for the audience so that they can relate to the show and the characters in a fun and easy way. Mirzapur GIF Campaign was initiated based on popular Mirzapur dialogues, sentiments, expressions which were created into Branded GIFs that provided viewers the possibility to use them during their social media conversations and comments. Mirzapur as a series has many dialogues, scenes, and events that relate to the lives of the many middle class, thugs, & tier 2 city teenagers. It has a particular hoodlum tone along with really raw dialogues, statements, and sentiments that teenager usually make use of, in their daily conversations with friends. These GIFs were then made available to our community through GIPHY & Tenor’s API’s on Facebook, WhatsApp, Instagram & Twitter. For example: currently, 5 out of every 10 stories of the people posting about #Mirzapur on Instagram stories were using GIF stickers. The show has a very serious tone with some dry humor. Thus making it a little difficult to create GIFs that are funny or with the agenda to be clear & direct but in fun tone. The brief was to create a digital touch point for the brand’s community where they can connect with the show and share relevant content around it across platforms. GIF stickers were created using the talent and their own dialogues that they’ve used during the series so that the audience can feel related to the character of the talent. Quirky and compelling GIFs were created that express the basic emotions of anger, dismay, and happiness through simple texts/ dialogues. These dialogues are usually the general slang that teenagers, college students, and young-adults use in their day-to-day conversations. Have watched tons of shows and movies with #Hubbykins but nothing comes close to #Mirzapur where@NathanAbhishek kept coming up with the most interesting corporate life analogies. Presenting a few for your benefit. These GIFs were then shared through conversations by Tier 1 & 2 Influencers on their social handles, due to which the reach for this has been massive. Fans, followers, and friends were influenced by this fad due to which our GIFs were used constantly during conversations, comments, and comebacks. Social Media: Twitter, Facebook, Instagram, Snapchat, any other social media platforms were used. Now express your jazbaat with Mirzapuri GIFबात! In less than 7 days, the brand got over 842K views on GIFs, with the most popular ones being about Kaleen Bhaiya (Pankaj Tripathi), followed closely by Harshita Gaur, Shriya Pilgaokar & Vikrant Massey. The show talent went crazy with the GIFs & so did their fan clubs. Rasika Duggal, Divyendu, Vikrant Massey, Ali Fazal – all of them were sharing their GIFs everywhere. Publishers like ScoopWhoop, Buzzfeed, MensXP, etc. were also seen using the GIFs on their Instagram stories. Some other celebrities like Richa Chadda, Kubra Sait; digital influencers like Faisal Khan, Rohini Ramnath, Rohit Kulkarni; and digital Bollywood news brands like Instabollywood & Voompla were also seen sharing the GIFs on their social platforms.